On Saturday I took part in a food challenge on Instagram. I’ve often seen the challenges thinking how fun they looked but never taken part. This time I decided to get in contact and ask if I could be involved in the next one. A tagalong is a great way to see a diverse range of foods all based from the same starting point. It is also a fantastic chance to discover new people on Instagram. The theme for this tagalong was rainbow foods! How brilliant and perfect for creating exciting food for children. Also with the weather being so beautiful it really was a fun challenge. 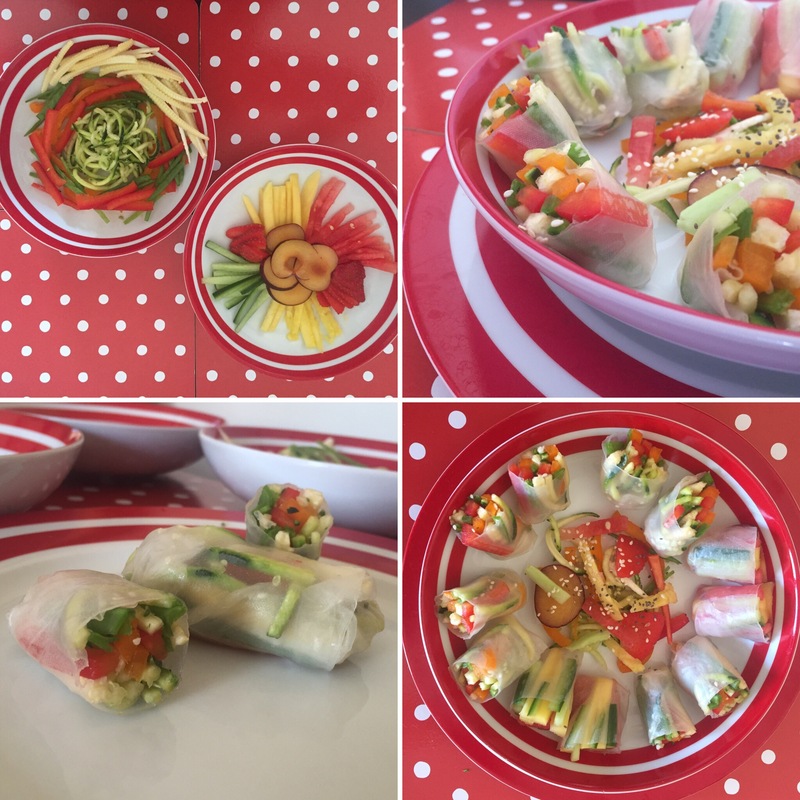 I decided to do rainbow spring rolls (inspired by Pinterest). These are really simple to make. There is no cooking required so it’s more of an assembly kinda dish. This makes it a great way to involve children in the kitchen as well. It is also a perfect opportunity to introduce new tastes. Although there is no cooking there is a fair bit of chopping. I used a combination of pre cut vegetables (courgette noodles) and the rest I cut by hand, but if you have a kitchen gadget which thinly slices then now maybe the time to dig it out. 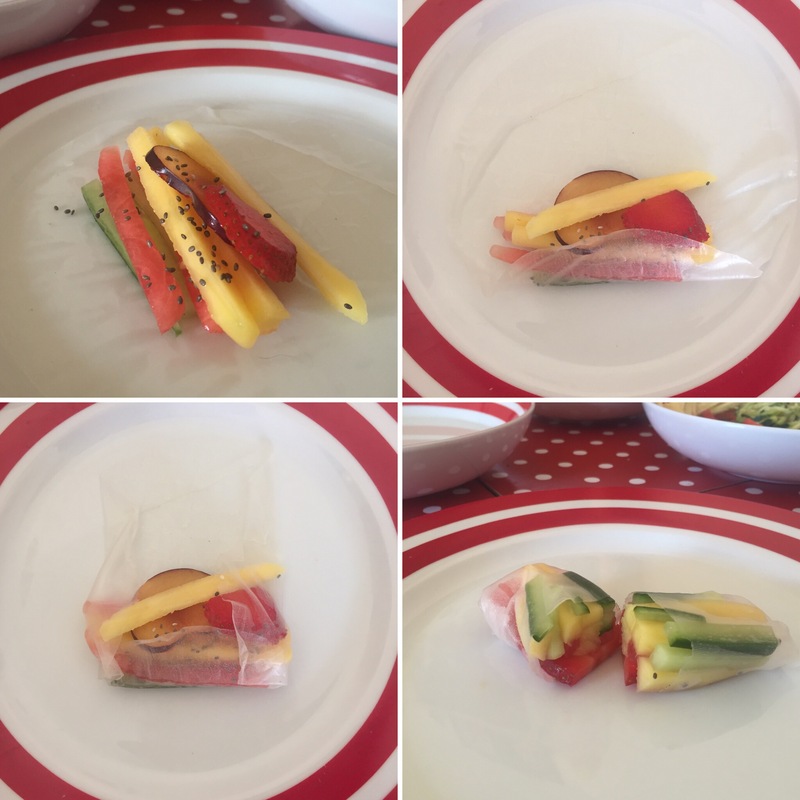 I made two types of roll; a sweet, fruit one and a savoury, vegetable one. 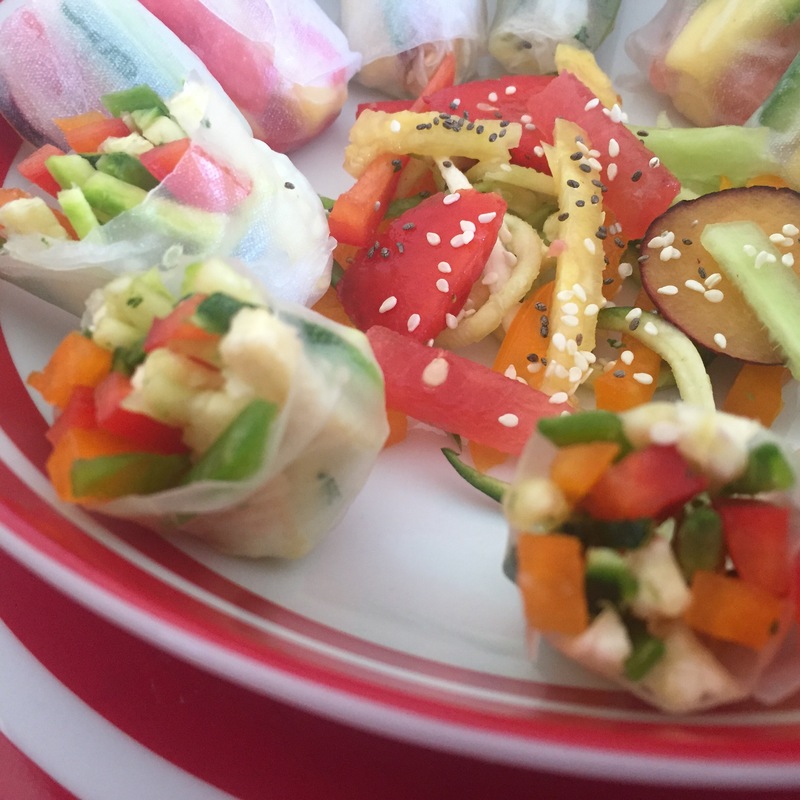 The wrappers I used were rice paper ones as they become transparent when softened with water. You can serve them fresh (as I did) or deep fry them (although I’ve heard mixed reviews about that). They’re pretty versatile so you could easily add a protein and noodles to make them more substantial. 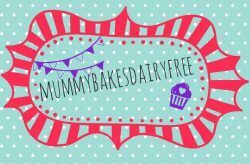 One of the best things about them is how allergy friendly they are; dairy free, nut free, egg free, soya free and gluten free. They’re also vegan! This of course does depend on the fillings you use. They seemed to go down well with little one. She picked out the filling and ate it that way but I think she liked it as she had a few! 1. Submerge the rice spring roll wrapper in warm water for a few seconds and place on a dry plate to continue to soften for a minute or so. I soften each wrapper just before making each roll rather than all at once. 2. Place your fillings onto the wrapper. I sprinkled sesame seeds over the vegetable filling and chia seeds over the fruit ones. 3. Then fold as you would a burrito, wrapping tightly. 4. I halved the rolls to make them more manageable for little one, plus you get to see the full rainbow-ness (yes that is a word 😂). 5. Serve with a dipping sauce of your choice. You can prepare these ahead of time but they’re best served fresh. Make sure you head over to my Instagram page and check out what everyone else made! Why not contact @thelittleredhendiaries if you’d like to take part in the next one? It’s the first time I’ve used them but will be using lots more! Very family friendly.